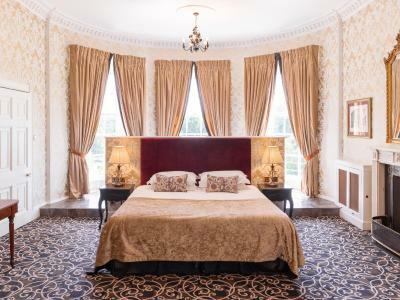 Lock in a great price for Bishopstrow Hotel and Spa – rated 8.5 by recent guests! Personally, I found that the whole property went above and beyond our expectations, It was extremely quiet around the grounds and in the main building and the staff were extremely pleasant, Having the ability to have free reign over the facility was also extremely nice, Being able to come and go as we please, and use the swimming pool without having to worry about security was also a relaxing addition, there was no fear about our stuff going missing or local youths breaking into our car. From the hotel the peace and quiet was absolutely bliss, makes a change from the busy noises from Birmingham. I booked this as a birthday present for my partner, spending the day at longleat safari park and then staying at this lovely hotel and spa. We both really enjoyed our stay here and definetly would stay here again. 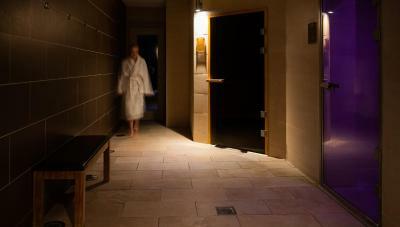 The spa was clean and the thermal treatment rooms was so relaxing. Great breakfast, and very helpful friendly staff. 10/10. Amazing service. Very caring and polite staff who are happy to help. Brilliant facilities and very easy to access and use. Lovely room with a great view. Well laid out room, Extra comfy bed, lovely relaxing bathroom. Would use again. Staff were happy and helpful. The hotel was nice and clean. The Spa and gym are great. Lovely building and grounds. Friendly, helpful staff. 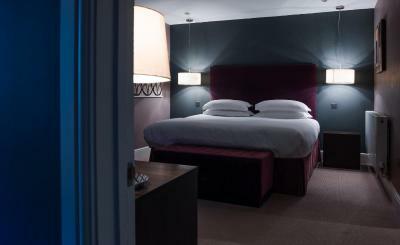 A luxurious, boutique hotel feel. Good gluten free options for breakfast. Large rooms (other than ceiling height), nicely furnished. bed comfy,fluffy towels. breakfast very good,staff excellent . 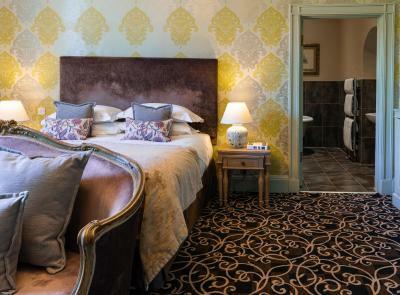 Bishopstrow Hotel and Spa This rating is a reflection of how the property compares to the industry standard when it comes to price, facilities and services available. It's based on a self-evaluation by the property. Use this rating to help choose your stay! 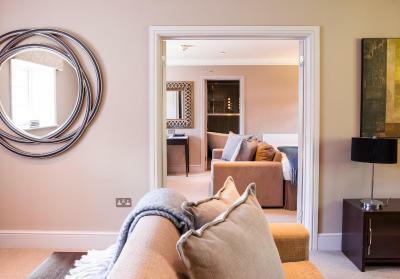 This English country house in the beautiful Wylye Valley has a luxurious spa and 2 AA Rosette dining in Mulberry. The Bishopstrow Hotel and Spa is a 10-minute journey from Longleat House and Safari Park. 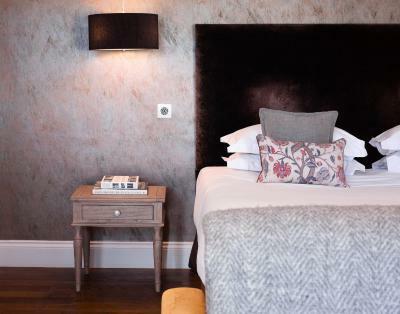 Bishopstrow Hotel is perfect for de-stressing and relaxing. Its halcyon spa has indoor and outdoor pools, a Rasul mud therapy room, Elemis treatments, a sauna, steam room and much more. Each bedroom has its own personality and is beautifully decorated. 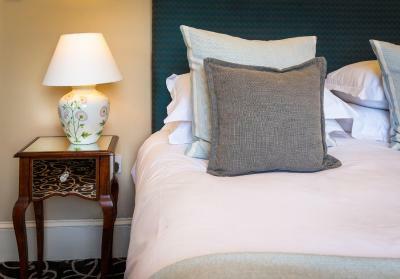 Located between Salisbury and Bath, Bishopstrow Hotel and Spa has peaceful gardens that lead to the river and tennis courts within its grounds. 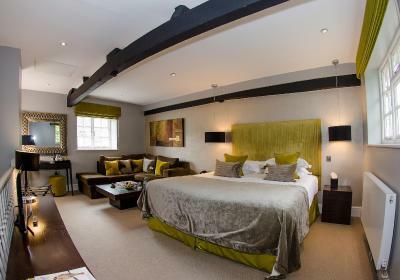 When would you like to stay at Bishopstrow Hotel and Spa? Larger rooms, situated in the Garden Wing with access to the grounds. Featuring a spacious bedroom and separate downstairs living area, in addition to luxury private bathrooms featuring roll-top baths and TVs. 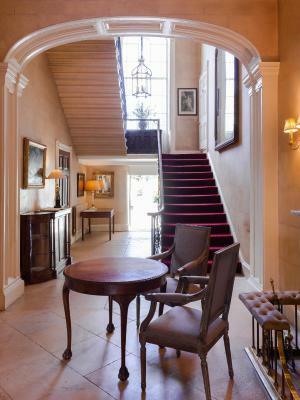 Rooms located in the main house or courtyard, many featuring antique furnishings. Individually decorated rooms with original Georgian high ceilings. Classic Rooms are mainly located in the main house although some classic rooms can be found on the ground floor of the Courtyard. Classic Rooms have double beds and private bathrooms, and are equipped with a TV and DVD player. Maximum occupancy 2. Versant Developments & Homes Ltd is delighted to officially announce the acquisition of Bishopstrow Hotel & Spa. Bishopstrow Hotel & Spa is a luxury grade 2 listed 32 bed hotel has four AA silver stars with two rosettes for food quality. The hotel has a health spa with both a heated outdoor and indoor swimming pool as well as an indoor and outdoor tennis court. 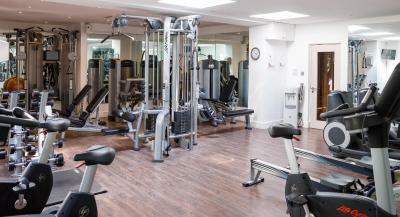 The spa has stunning spa facilities and a fully equipped gym. 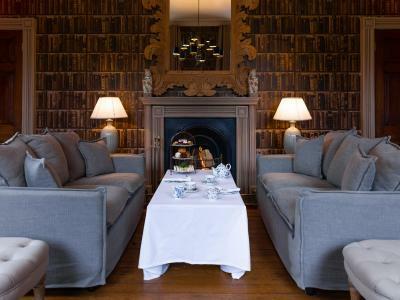 House Rules Bishopstrow Hotel and Spa takes special requests – add in the next step! Bishopstrow Hotel and Spa accepts these cards and reserves the right to temporarily hold an amount prior to arrival. The dinner menu was not quite what I expected and a little difficult to understand. I took my 10 year old son to stay here overnight as we were going to Longleat the day after. I honestly cannot express how much we both enjoyed our stay. The hotel itself is absolutely stunning and beautifully and tastefully decorated which was in keeping with the period of the building. 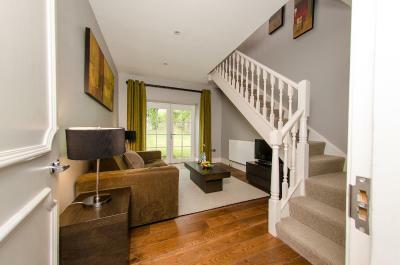 Set in a quiet location with adequate parking and lovely gardens. Our room was also a very pleasant surprise as the bed has to be the biggest and comfiest bed that I have ever slept in and even my son had a 'lie in' for the first time in his life! 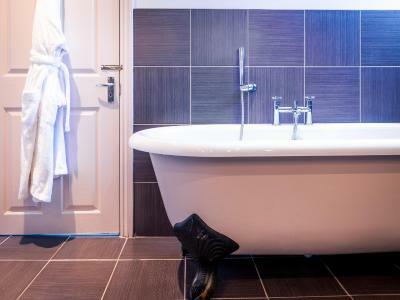 The bathroom was beautifully adorned with a freestanding bath and fully equipped with everything that we needed. Really nice finishing touches such as the hand written welcome from the manager in our room and the bottled water. The facilities were excellent, we used the pool and jacuzzi and again were just perfect, with the temperature very pleasant although I didn't take advantage of the spa treatments or other facilities. All staff were very friendly and attentive to our needs. Personally I have a gastric balloon fitted which restricts my food intake and was able to order from the children's menu without any fuss. The wine list is exceptionally comprehensive. After dinner we enjoyed a game of monopoly provided by the hotel in the relaxing environment of the lounge. Breakfast was included in our package and again this provided a full variety of everything that you could possibly want, all very thoughtfully presented and cooked to perfection. Checkout and check in was very easy and the bill was easy to understand. I would definitely recommend to anyone and also would love to stay here again if we are visiting the area again. Soundproofing of room not good, very hot at night (A/C noisy if on) and smells from kitchens below very noticeable. Good sized comfortable bed and a very large room. Indoor swimming pool well maintained. The restaurant where we dined in the evening was lovely however it was not well geared up for children and the leisurely pace left my 10 year old feeling a little bored and hungry! There is a light bite menu to eat in the rooms or in the drawing room and had we been able to stay for our second night we would have chosen that option. The slow and inattentive service in the restaurant. Also side dishes were bigger than the main course itself. Hard to get a drink in the restaurant and we were waiting nearly half an hour for an ordered bottle of wine to arrive. Monsoon shower in spa not working. Very restricted headroom in several of the guest rooms - ceiling height around 6'3". An electrical fault meant moving rooms twice, but staff were very helpful and dealt with this efficiently. room described as cosy ,smallest room I have ever stayed in,only one bedside table. Being charged for water and service charge! Fantastic room, the spa was lovely. Afternoon cream tea was very nice too! The room was had was absolutely fantastic. The bed was extremely comfortable. Would happily stay here again!